Shenzhen DNE Laser Science And Technology Co., Ltd. is a high-tech enterprise specialized in R&D and producing laser equipment. After over 10 years of rapid innovative development in laser technology, DNE Laser has been keeping up with the international forefront laser technology. Now, DNE Laser owned production base covering 38,000 square meters and professional talented experts’ team. 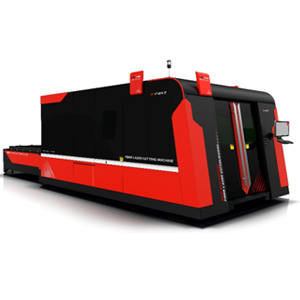 With world-renowned laser devices parts suppliers from Germany, USA, UK, DNE Laser has been developing laser cutting equipment with high-efficiency of electro-optical conversion, high beam quality and stable performance. A number of technologies have enjoyed leading position in China Asia, especially cutting thickness and speed. In 2016, Joint Venture between DNE Laser and Bystronic Group (Switzerland) was successfully built with new brand BYSTRONIC DNE LASER. DNE Laser formally became a member of Bystronic Group. Forever operation philosophy of DNE Laser is: Quality is our social responsibility. All the machines have been developed by innovative design & precise manufacture. All the procedures have been controlled by international standard to ensure each laser cutting machine in best performance & quality condition. DNE Laser has more than 7000 users now widely distributed in domestic and overseas market, such as Germany, Russia, Spain, India, Korea, Malaysia, Singapore, Saudi Arabia, South Africa, Indonesia, Turkey, Jordan, Dubai, Poland, Morocco, Mexico, Brazil, Lebanon, Thailand, Kazakhstan, Bangladesh, HK, Taiwan and so on. DNE Laser has set up the sales and service branches in Shanghai and Beijing with an area of over 3000 square meters respectively and also over 70 customer service offices in different provinces and cities in China. In addition, over 10 service sites in overseas market has been set up. Laser Head – Bystronic designed head with faster autofocus, high capacitive sensing, and 2 way cooling system. It is also coupled with Bystronic modified BCS100 for better height sensing. Lubrication - Auto Lubrication System.